UPDATED: April 16, 2019 at 12:47 p.m. The Undergraduate Council voted against passing a statement of support for Danu A.K. Mudannayake ’20 — a student activist who has repeatedly called for Winthrop House Faculty Dean Ronald S. Sullivan, Jr. to step down after he announced he would represent Hollywood producer Harvey Weinstein — at their general meeting Sunday. 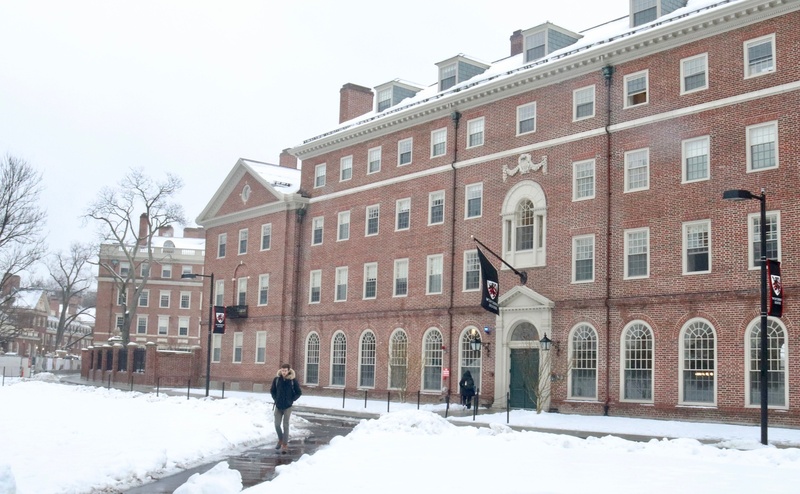 The proposed statement concerns Mudannayake — a Crimson design editor — and Winthrop tutor Carl L. Miller, both of whom filed conflicting reports with Harvard University Police after a confrontation in Winthrop dining hall on April 3. Mudannayake said that she approached Miller after she believed he had taken photos and videos of her while she ate dinner with a friend; Miller said Mudannayake harassed and provoked him while he ate dinner with his family. Miller’s attorney, George J. Leontire, wrote in a letter Tuesday that Miller and his wife Valencia Miller plan to file a Title IX complaint about the incident, though Leontire said Sunday evening that the Millers have decided not to file a complaint. After nearly 40 minutes of debate Sunday afternoon, 23 council members voted in favor of the statement, 10 voted against it, and one abstained. Vice President Julia M. Huesa ’20; Eliot representatives Max A. Gillmer ’21, Sean Sullivan ’20, and Jakob L. Gilbert ’21; and Mather House Representative Sanika S. Mahajan ’21 co-sponsored the legislation in support of Mudannayake. Winthrop Representative Delaney E. Tevis ’19 said at the meeting that she did not co-sponsor the statement in support of Mudannayake out of fear of retaliation. The vote comes days after Eliot House Committee presidents Terzah A. Hill ’20 and William S. Flanagan ’20 weighed in on the events in Winthrop, criticizing the Millers’ actions in the wake of the incident. On Friday, Hill and Flanagan — a Crimson news editor — defended Eliot Faculty Dean Gail A. O’Keefe in an email to House affiliates. The Millers filed a lawsuit against O’Keefe for defamation last week after O’Keefe sent an email to Eliot residents that said the Millers acted “unprofessionally and dishonestly” in their response to the confrontation with Mudannayake. The UC legislation calling for the statement in support of Mudannayake mandated that the council’s leadership send it to the entire student body and post it on Facebook — a process the council calls “Tier 1” publicity. The council’s constitution requires a two-thirds majority of the body’s entire membership for any “Tier 1” statements, meaning the message in support of Mudannayake failed to pass. Though some UC members proposed that the council consider releasing the statement in a lower tier, the meeting adjourned before members could vote a second time on the bill. Mudannayake said last Wednesday’s events have limited her ability to feel safe on campus. Oak Yard Representative A. Blake Barclay ’22 said he does not believe it is “appropriate” to take a side in the dispute between Mudannayake and Miller. “I don't think it's appropriate for us to do so, in an unresolved situation where we as the council haven't heard from the other party's perspective, and we didn't actually witness the events transpired,” Barclay said. Over the course of the meeting, the Council’s members mulled varying versions of a statement in support of Mudannayake. An amendment proposed by Huesa to add a call for greater transparency in tutor hiring passed; a change proposed by Pforzheimer representative Athena W. Kan ’19 to remove Mudannayake’s name failed. Leontire said the Millers have not offered a public position on Sullivan’s representation of Weinstein. A previous version of this article incorrectly stated that the bill "narrowly" failed to pass. In fact, the bill received 23 out of the necessary 31 votes required to attain a two-thirds majority of the entire Undergraduate Council body. A previous verison of this article stated that the meeting adjourned before the council could vote a second time. To clarify, the meeting adjourned before the council could vote a second time on the bill itself. The council did vote on whether to consider a revised version of the bill. —Kevin R. Chen and Laura C. Espinoza contributed reporting.